Since 2013, Puffco has prided themselves on designing intuitive, elegant, and innovative vape pens. All Puffco vapes are engineered in Brooklyn, New York by their in-house design team. 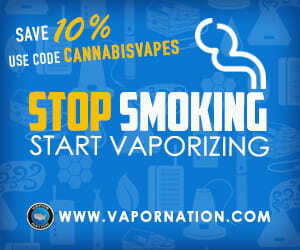 Puffco vape pens have received a number of awards including High Times Best Vaporizer. Puffco vaporizers have also been recognized by Mashable, Rolling Stone, and Cool Hunting for their cool designs and functionality. The Puffco Plus is designed to vape your cannabis wax concentrates. It features a coil-less chamber that’s designed to deliver clean dabs all in one dose. It also packs a convenient dab tool that’s built right into the mouthpiece. The Puffco Plus is an extremely sleek vape pen designed for use with cannabis wax and concentrates. The Puffco Plus features four temperature settings, a 510-threaded battery and a coil-less atomizer. The side of the battery features a cloud shaped button which represents their company logo. The Puffco Plus pen is light-weight, slim and extremely convenient for both indoor and outdoor use. One feature that sets the Puffco wax pen aside from most wax vape pens on the market, is a feature called the “dart.” The dart is located under the mouthpiece and serves as a built-in dab tool. The dart allows you to neatly place your cannabis extracts into the heating chamber without the need to carry a third-party dab tool. 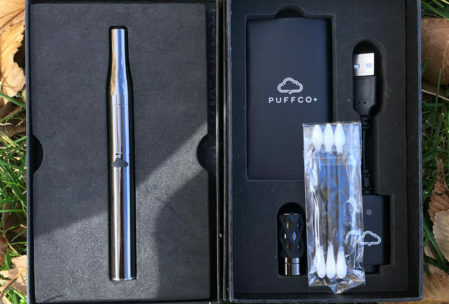 The Puffco Plus also features “Sesh mode” which heats the device continuously for 12-seconds without having to press the cloud button. 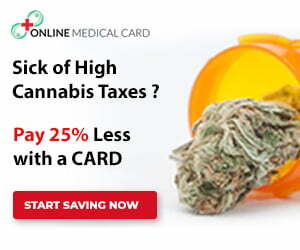 This is great for passing between friends or taking continues rips for yourself. Because the Puffco Plus uses a 510-threaded battery, you can remove the ceramic atomizer and use the battery for your 510-threaded vape cartridges as well. You can also buy each of these parts separately on their website. 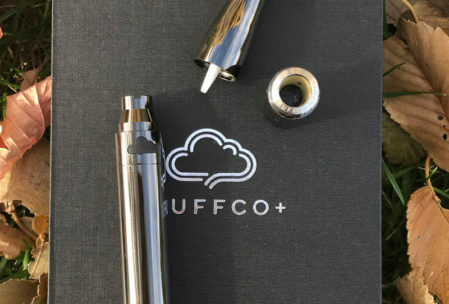 The Puffco Plus is also backed by a one year warranty that you can set up by following the instructions included in the kit. 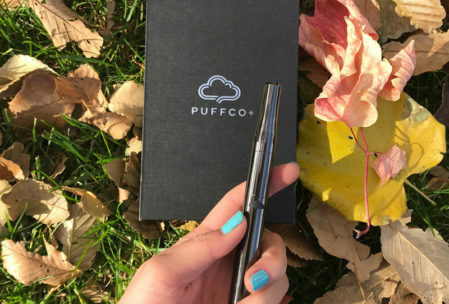 The Puffco Plus is simple to use. Just like most vape and wax pen batteries, five clicks on, five clicks off. Puffco Plus also features three temperature settings and Sesh mode. Cycle through each temperature with 4-clicks. Sesh mode allows you to activate a 12-second heat mode so you can continuously vape. Using the Puffco Plus mouthpiece with built-in dab tool aka the “DART”, you are able to easily load your cannabis wax and extracts into the ceramic chamber. Once your cannabis is loaded, place the mouthpiece back onto the battery and hold the cloud power button for the duration of your hit. Activate sesh mode by clicking the cloud button twice at any time. We had a decent experience with the Puffco Plus wax vape pen. It’s great for in-house use or on-the-go as it’s small and stealthy. The device looks sleek as it has a streamlined body with a cool, shiny-chrome finish. We also found the built-in dab tool to be very convenient. We used the Puffco vape pen with some delicious Girl Scout Cookies wax from Magic Pipe. The GSC tastes buttery and smooth, but not quite like cookies. Because of its all-ceramic atomizer (no coils involved), the Puffco Plus did a great job of transferring the delicious flavor. It had an amazing body and head high that makes you conversationally functional, while also relaxing every part of your body. On a full charge, the battery lasted around 50 hits. The first issue we ran into with the Puffco Plus was that the ceramic chamber had a tendency to clog. This caused airflow to become restricted. 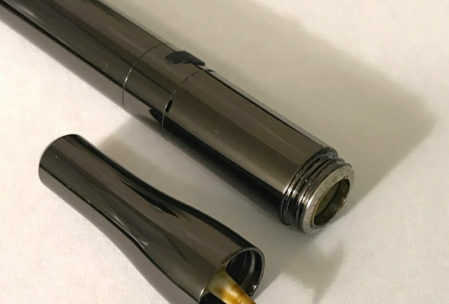 To fix this, Puffco recommends taking the mouthpiece off, holding it upside down while in sesh mode so that the contents will melt right out, clearing the chambers. We did find that the upkeep and maintenance of the Puffco Plus was a major drawback. Once the chambers became clogged, they remained clogged for the rest of the chamber’s life. Before each use, we would have to warm up the ceramic chamber by putting it into sesh mode, unscrew the chamber, and then blow from the opposite side (threaded side) to push the wax out of the chamber holes in hopes of unclogging it. Having to do this before every hit was a hassle which was disappointing considering the pen itself is simple to use. Fortunately, the Puffco Plus kit includes one extra atomizer. You can also purchase replacement atomizers online. We also had a problem with wax leaking down through the chamber onto the battery. This might not be preventable, but make sure to clean the top of the battery well. The most important part of caring for your Puffco Plus is keeping it clean to ensure good airflow. Puffco provides very useful tips and instructions on how to clean the chamber on their website. You may also be interested in similar alternative concentrate vape pens like the Linx Hypnos Zero which also uses a coil-less ceramic atomizer as well as the Rokin Nitro wax vape pen. Overall, the Puffco Plus is a decent vape pen, but nothing exceptional. We like how the Puffco Plus looks and that it’s easy to use. It also does a good job of transferring the flavor of your cannabis because of its all-ceramic chamber, but don’t expect to get huge rips. You will have to keep this vape pen very clean to ensure it works properly. The Puffco Plus vape pen is available directly through VapeWorld and is currently on sale for$84.99 (original retail price $119.99). Puffco also offers a cheaper model, the Puffco Pro 2 which is on sale for $63.74 (original retail price $89.99).